are when the app gets coded. There are different methods to actually code every given piece of functionality, which leads to great variability in app quotes you may have seen. In practice, this means we start with the Visual Prototype stage of development and then code the backend – the larger portion of work – once those visuals are confirmed. This leads to less chance of mismatch in expectations. In the Visual Prototype stage, you utilize coders that are visual- and user-experience experts. They take the idea the rest of the team has mapped out and create the screens of the app. Once the product owner agrees to the visuals, you go through the backend development. In our membership, your three key agile meetings are combined in a series of updates written by your team lead written in understandable language complete with demos and other artifacts. The underlying purpose of agile ceremonies are to develop software as efficiently and cost effectively as possible. Every hurdle must be dealt with as soon as possible. By bringing out these problems, the cycle stays moving and gives you the best experience possible for your users, updating frequently to bring them what they want and not having technical issues delay things for many weeks. Reviewing what happened in the previous sprint is a great way to keep everyone up to date on what is happening with the development sprint. This is where you add items to the backlog and adapt to find new paths to the feedback they’ve received. Through your team lead, you will get an update each week that also spells out exactly what happened during the sprint. They also give you a clue as to what they are tackling next in the development sprint’s progression. Once you have completed a development sprint, you need to figure out how you can get better at estimating what the users want and putting the development in motion. There are many timing issues that could play into this and every one of them must be able to fix any bad problems in the user’s experience, which is the underlying metric for success. By utilizing something called “Yesterday’s Weather”, a retrospective gives the whole team valuable insight to help them create more efficiency, as often as possible. Our members enjoy 24/7/365 access to start one of these meetings with the team. 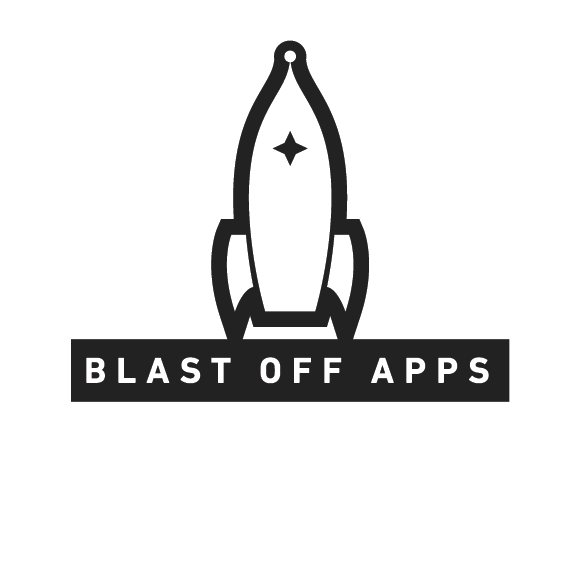 Through our use of Slack, an online communication tool, Blast Off Apps representatives are available at any time to schedule a meeting or just answer a question. During the development cycle, our team produces weekly updates that encompass these three specific agile ceremonies.